Feel like take-away tonight? 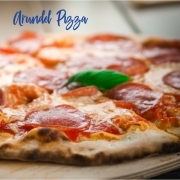 Order a mouth-watering pizza from Arundel Pizza now! Call 5574 6698 or order through Uber Eats.